Prints are something I don’t usually favor much, but some classic prints like polka dots and stripes are my go-to prints. I was looking for a striped shift dress for a long time and I did get one but unfortunately I bought the dress in a size bigger than what I usually wear. Buuuuuttt , but , but buuut! I ended up liking how it felt! Sure, it kind of felt like I am drowning in the dress but who cares when it so comfortable and it is a t-shirt dress! What do YOU do if you end up buying a piece of clothing that is very loose for you!? Let me know in the comments below! But after this episode, I am in a pickle. I like shopping online but I like shopping from stores more. So I am thinking about stopping shopping online! I know! Everyone would be like whaaatt , but I seriously and thinking about it! I mostly end up buying the wrong size and then I have to exchange it and the whole process is very tiresome! 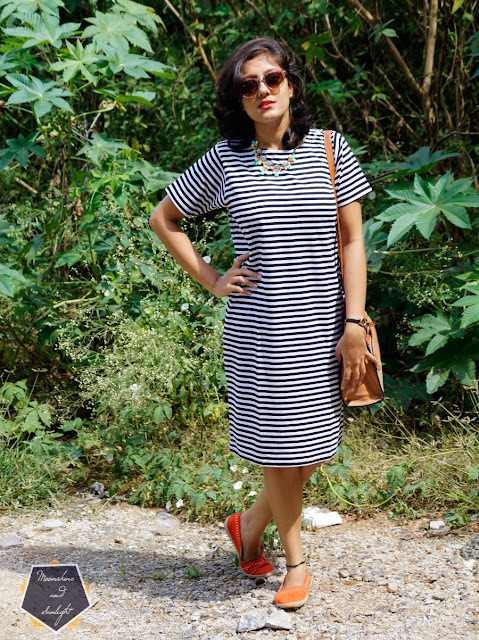 So enough about this, let me tell you what I had in mind while styling this striped dress! 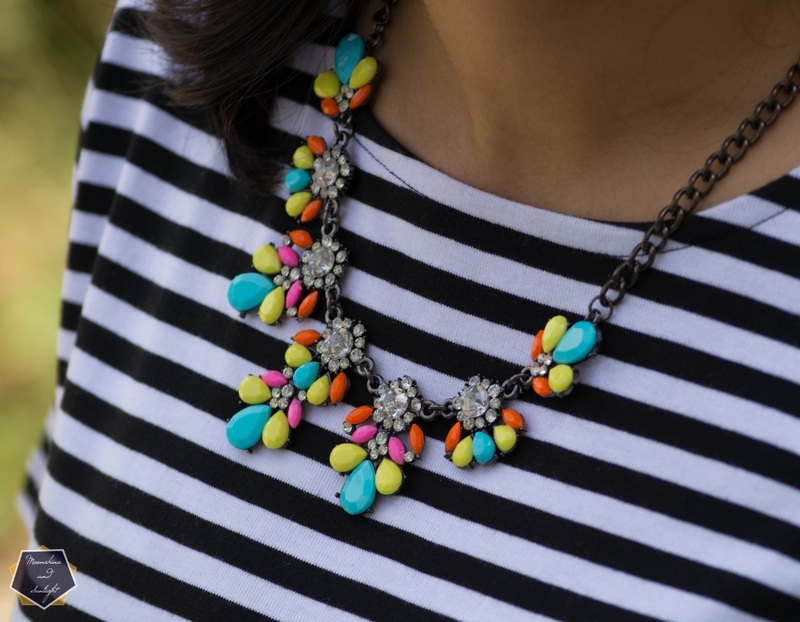 Since it a monochrome dress, I wanted to add a pop of color to the outfit. Hope you liked the way styled my oversize dress! Let me know what you do with your over-sized clothes in the comments below!